Tanjung Ocean View is an upscale ocean view residential development of 81 plots of fully improved land, located a stone’s throw from the beach and immediately above the new Mandalika Resorts mega-development. The Tanjung Ocean View Development project (“TOV”) is located in the Kuta area of Lombok’s famous South Coast. TOV is a residential property development project of vacant land plots ranging in size from 563 Sq Mtrs to 4,065 Sq Mtrs (5.63 to 40.65 “ares” of land) which offer a superb blend of panoramic ocean views, affordable prices and a secure investment opportunity in a luxury quality project – all developed to the highest western standards by a USA developer. Only minutes from the superb white sand beaches of A’an Bay, and surrounded by unspoiled natural beauty, the expansive TOV plots are a far cry from the cramped postage-stamp sized plots of many crowded Lombok and Bali projects. Conceived and developed by Hawaii real estate developer/broker Lee Pappernow, the spectacular thirteen hectare Tanjung Ocean View project in Kuta Lombok is located less than 5 minutes from Kuta Town and some of the best white sand beaches in Indonesia. The first parcel of land at Tanjung Ocean View (Phase I) was purchased in 2008 after months of searching for that illusive “Perfect Kuta Property” which offered ocean views, gently-sloping land and easy access to the nearby beaches and Kuta Town. As demand grew, additional plots of land were purchased and annexed into the TOV project to form Phases II & III. At the present time, the developments consists of almost 14 hectares of land. This Kuta land development offers paved interior roads, drainage canals, available electricity and covenants designed to enhance and protect both owners’ investments and the larger development – all located in one of the fastest appreciating areas of Indonesia. Tanjung Ocean View’s breathtaking plots offer views which range from sweeping panoramas of the rolling palm tree dotted Kuta Lombok land below the project, to the white-water ocean views of both Gerupuk Bay to the east and the nearby two white sand crescent shaped beaches of A’an Bay to the south and both Mandalika Bay and Kuta to the west. Finally, after several years of development the first subdivision project of land in Kuta Lombok with affordable ocean viewsv is now available, constructed to western real estate standards, just a few minutes from Tanjung A’an Bay and less than 5 minutes from Kuta Town! Eight-one exquisite parcels of Kuta Lombok land, with each plot large enough to accommodate the development of houses with privacy and sweeping coastline and sea views – from Gerupuk Bay to both Tanjung A’an Bay and Kuta (i.e. “Mandalika”) Bay. Build your dream home here for either full or part-time use, build a vacation rental villa and let us manage it for you, or simply make an affordable passive investment in the land and watch your equity grow by 30 to 50 percent or more per year – as it has over the last few years. Finally, a quality development of plots in Kuta, Lombok which offer the perfect opportunity for both investors and part-time and full time residents alike to enjoy this exquisite locale – at the most affordable prices in the area, during a time of hugely appreciating land values. You’ve definitely come to the right place if you’re looking to buy land in Lombok. Come join us and make this Island Paradise project your home too! Why Invest In Kuta Lombok Now? Tanjung Ocean View is nestled in the pristine, unspoiled natural beauty of Lombok, Indonesia. Hundreds of square kilometers remain undeveloped and Lombok Islands’ soaring expanses and rolling vistas enchant all who are fortunate enough to experience the island’s beauty. 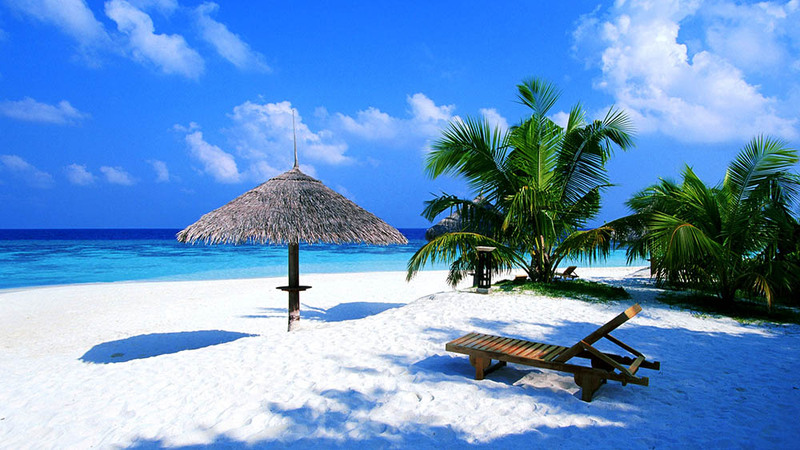 Without doubt, the island has many of the best white sand beaches in Indonesia, several of which rival the best in the world. Mawun Bay with its perfect crescent of protected white sand, Tanjung A’an Bay, with its crystal clear waters and two perfectly scalloped white sand beaches and Selong Belanak with its 2 kilometers of wide white sand are just a few of Lombok’s many alluring oceanfront playgrounds. The island of Lombok (often referred to as “the next Bali”) is located in the West Nusa Tengara District of Indonesia, immediately east of the island of Bali which is only 20 minutes by air from Lombok. The Tanjung Ocean View project is located in Kuta on Lombok’s south coast – the area of most rapid growth on the island of Lombok. Like the Island of Bali, Kuta, Lombok owes its initial popularity to surfers frequenting the island to enjoy the wealth of world-class surfing spots on Lombok. The Island of Bali’s phenomenal growth in the 70’s and 80’s soon spilled into the ocean and Bali’s surf breaks, like its heavily touristed roadways and infrastructure, became crowded and congested. In response surfers and tourists alike began searching for other Indonesia locales to enjoy and the Island of Lombok, only a short ferry/plane ride from Bali, was soon attracting visitors in record numbers. Being closest to Bali, the Senggigi area on Lombok’s west coast was the first to see significant tourism and development. Surfers however flocked to the south of Lombok where the Indian Ocean swells formed Lombok’s now famous world-class waves and the Kuta area soon rivaled Senggigi’s growth. 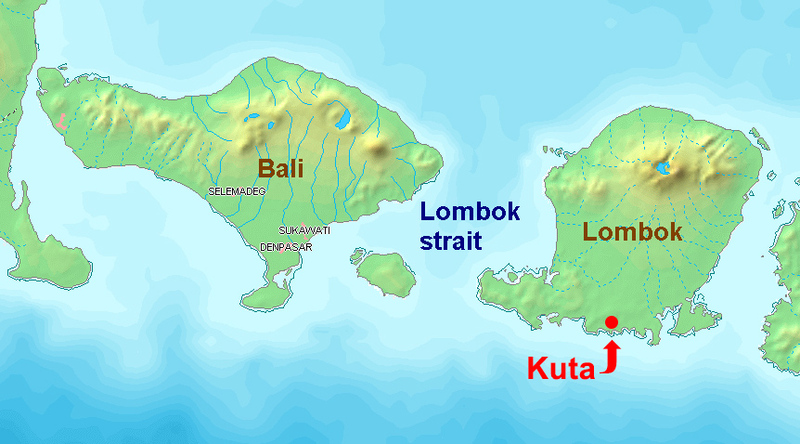 In the interim, Indonesia government earmarked Kuta, Lombok area as its primary focus for the development of Indonesian tourism and the Lombok Tourism Development Company (“LTDC”) was formed to manage the intended growth. The commencement of the Mandalika Mega-Resort project in Kuta, Lombok – ITDC’s new 1,100 hectare Mandalika Resorts Mega-Development project. The new development spans the entire area from Mandalika Bay in Kuta town, all the way to nearby Tanjung A’an and Gerupuk Bays. 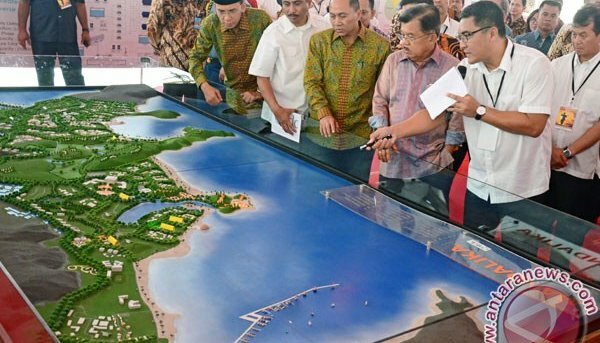 Continuing new infrastructure improvements, with billions of dollars of capital improvements already completed on the Island of Lombok. A new harbor at Awang – 15 minutes from the project. The new, recently widened and completed 4 lane Kuta Bypass Road. The massive road improvement campaign already funded and under way on the Island of Lombok. The recently opened Lombok International Airport – 20 minutes away in Praya (which finally provides international flights directly to Lombok). Indonesia’s recently declared commitment to turning the Kuta area into the next world-class tourism area in Indonesia. 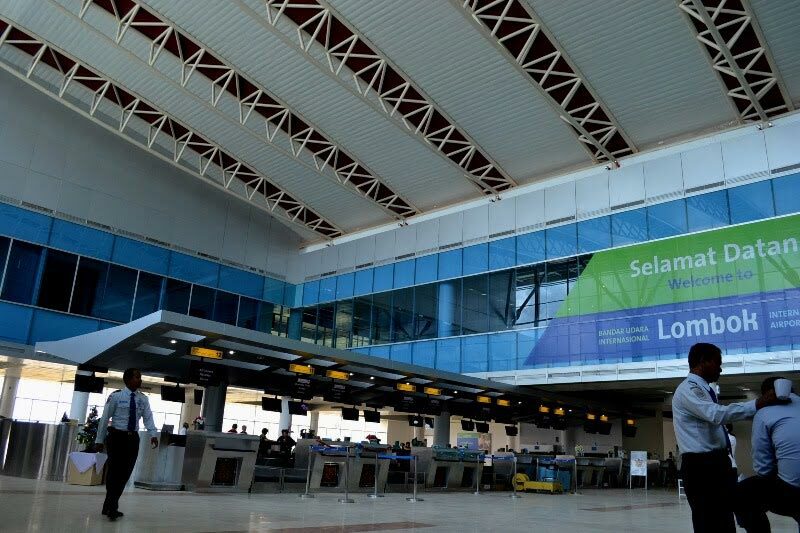 Already rising Lombok tourism numbers saw huge increases after the October 2011 opening of the Bandara International Lombok airport (“BIL”) and commencement of direct international flights to Praya, Lombok only 20 minutes’ drive from Kuta. In addition, the Indonesia government’s massive capital investments in the island and the activities of the Indonesia Tourism Development Company (“ITDC”) have paid big tourism and development dividends. These activities center on the development of the roughly 1,100 hectare, Mandalika Mega-Resort. groundbreaking ceremony for Mandalika Resorts Accor/Pullman Hotel. The New Bandara International Airport (Praya, Lombok). 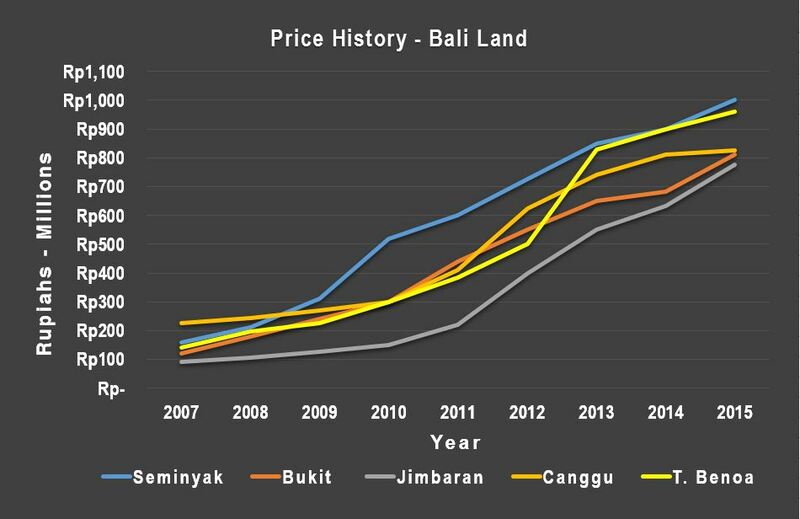 More importantly, the robust appreciation in Indonesia land values continued during the Global Financial Crisis which sent property values plummeting in much of the rest of the world. The GFC downturn that afflicted so many investments and capital markets in western countries was primarily the result of ballooning debt instruments (i.e. lax restrictions on high loan-to-value property mortgages and Wall Street’s greedy creation of flakey “mortgage derivative” instruments. Indonesia is a “cash and carry” economy with little financing available and very high loan interest rates. As a result, it was relatively well insulated against the crash most western markets experienced where property values declined markedly and foreclosure rates hit all-time highs. The effects of the GFC snowballed through most “first-world” economies and billions of dollars were lost. 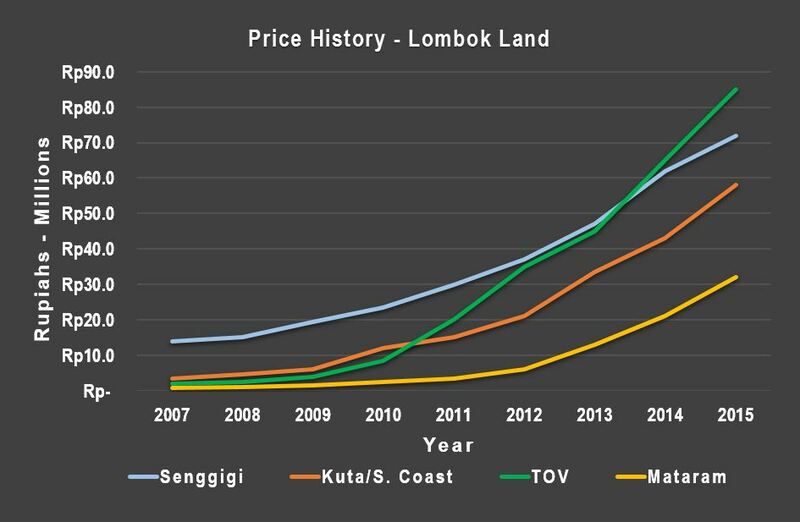 To the contrary, Indonesia suffered little by comparison and property values, especially in Bali, Lombok and other tourism-driven locales saw continuing marked increases. Little ocean view property available is available in Kuta, Lombok, and none is developed to the high standards of Tanjung Ocean View. Accordingly, TOV price increases exceed the norm and plots in the project continue to appreciate rapidly.